Having great images for our blogs is a must. In the split second your reader decides whether or not to stay on your page, it has to draw that reader in and persuade them to sit down and read what you have to say. It has to be eye catching. Social media is also great motivator for having clever, well thought out images for your blog posts. The images that perform best on Pinterest, Facebook and Twitter feeds are the ones that immediately catch peoples’ eyes. 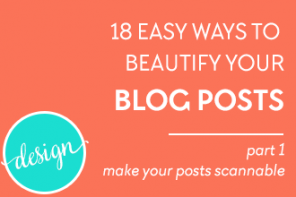 Luckily with so many great resources available to us bloggers these days, there really is no excuse not to have attractive images in our blog posts anymore. 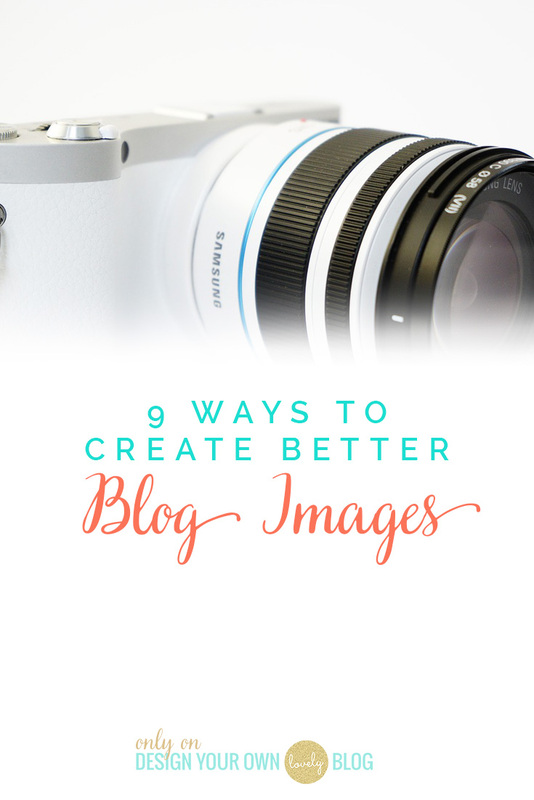 Here are 9 ways to create better blog images. The first thing you should know about using images on your blog is that you can’t just take an image from anywhere. I would hope that you know this already, but in case you don’t, you want to be very careful about where you find your images and how you use them. Making mistakes in this arena can cost you dearly. More attractive images are shared more often. So how do we choose images that are more attractive? Turns out there a few things to look for. Adding overlays to our images can help sell our brands and create great blog post title images. Check out 14 other ways you can use image overlays to help sell your brand! Some of us still love inspirational image quotes and these can help draw attention to your brand. Here are some easy ways to quickly add overlays to your images using some simple and free tools! 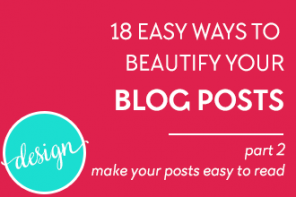 Speaking of tools, how about using Canva to create shareable images? It’s easy to make mistakes when you’re first learning to blog or learning how to use images in your blog. Heck it’s easy to make them even as a seasoned “pro.” Make sure you’re avoiding these common pitfalls and getting the most out of your images today. Need to know where to get free yet fabulous stock images for your blog posts? Look no further than these massive lists I’ve compiled with my favorites! You may decide to take your own photos for your blog posts and if you do, my friend and super talented photographer, Emma Davies, offers 5 great tips to get better photos. Most of the bloggers I know get the majority of their traffic from Pinterest. Pinterest is a game changer for most of us and if you’re not leveraging it, you’re making a huge mistake. Now that we’re back on monthly topics, I am SUUUUUPER excited to announce something very exciting!! Dre Beltrami (that sassy gal from The Branded Solpreneur) and I are hosting our very first Twitter chat THIS coming TUESDAY at 7pm PT / 10pm ET!! And what else are we talking about but BLOG IMAGES yay! So be sure to join in. 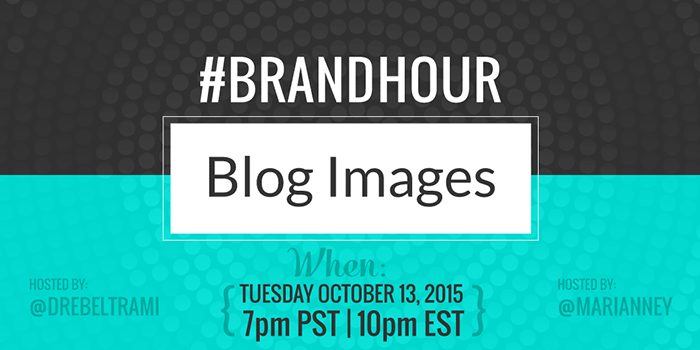 The hashtag for the conversation is #brandhour and you’ll want to be sure to use that in all your tweets during that hour. If you have never attended a Twitter chat before, they are so much fun, but can be really fast moving! I highly suggest using TweetDeck or Hootsuite to follow along. Here are some additional tips from Elle & Co. on participating. Images in our blogs are really important to help us stand out and it’s even more important to use the right ones. I’d really love to know: How are you using images in your blog posts now and do you feel the need to improve them? Let’s discuss below! If you liked this post, please share it! There are some handy buttons below the sign up box. I have about 10 tabs open ready to dig into all those resources in this post! Images are a near-and-dear topic to my heart, too. I really love the fresh, beautiful images here on your website. SUPER excited that you and Dre are hosting a twitter chat! I’ll have to try and make it. Yes Kristie I hope you can make it! We’ll have to have you join us and co-host some time for sure! I’ve read this post twice now and it is still such an amazing list . As a new blogger I’m definitely enjoying these very useful posts! All the links in it were amazing. That’s so great Sofie! Thank you for letting me know how much you enjoyed it. I hope you join in for the rest of the image posts this month and also my Blog Images Twitter Chat tomorrow!! Great post Marianne!!! So much information and I am glad to know these points and tips as I have been struggling with my images/blog headers. 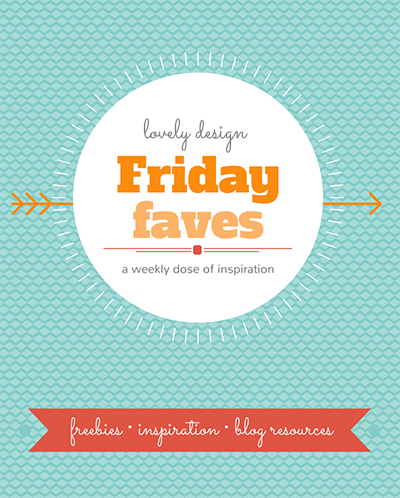 Canva graphic examples. Free Silverfake font. Pinteresting. Chisel. Lovely Blog Crush. Free WordPress theme.